Okay, I'll admit it—I think boho style is lame. Or at least I used to. Recently while frantically searching for some fun "not quite spring, not quite winter" wardrobe inspo, I noticed I was gravitating toward a common theme—boho outfits. While at first I was hesitant to admit I loved the floral printed maxi dresses, shearling-trim coats, and paisley (I know), I figured it was time to give in. Ahead I have shopped out the six boho spring outfits that caught my eye and ultimately convinced me that with the right additions, bohemian style can feel extremely fresh. You might be expecting to see all floral prints and asymmetrical hems, but I think you'll be pleasantly surprised to find sneakers, tailored coats, sleek bags, and more. Ready to shop the spring boho looks that convinced me the style is, in fact, not lame at all? I love this look because it incorporates tailored pieces with bohemian-esque prints. Contrasting the shirt and the pants makes this outfit feel super now while still playing on that eclectic vibe. This jacket screams Penny Lane while the geometric print skirt and stark white boots scream spring 2018. Color me convinced bohemian pieces are the seasonal items I didn't know I needed. I used to think printed maxi dresses were a thing of the past, but seeing Nnenna style hers with sporty sneakers made me do a double-take. The addition of an athleisure item instantly makes this look feel current. 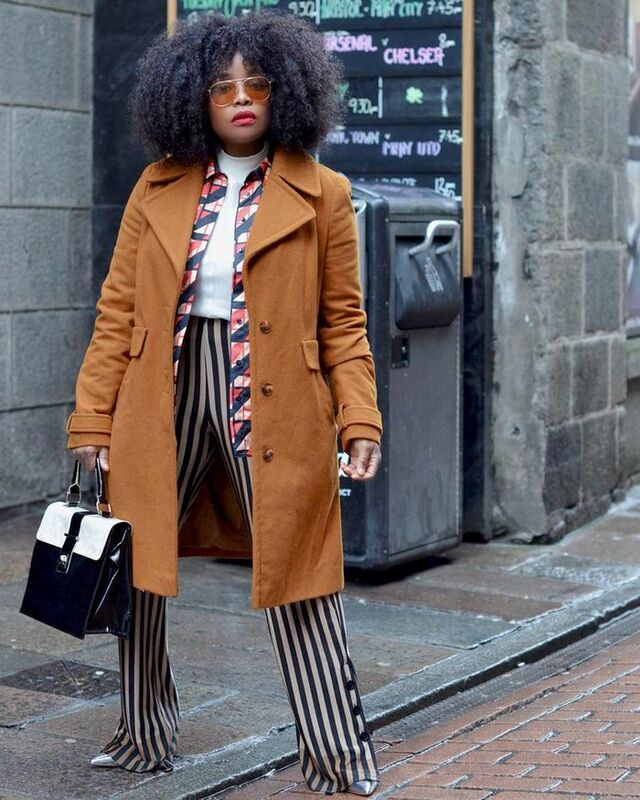 This '70s-inspired coat paired with platform boots and wide-leg trousers is the outfit combination I never knew I needed. If this is what boho style in 2018 looks like, sign me up. Once again, my hesitancy toward maxi dresses is squandered thanks another unexpected addition. This modern printed coat makes the boho dress 10 times cooler. Available in sizes 1 and 2. Add a belt and an It bag to a paisley dress and you've got yourself a look that reads anything but basic. If you were unsure about the relevancy of boho style, hopefully I have just convinced you otherwise. Next up, shop 14 spring travel outfits to inspire the vacation itch we know these looks just instilled in you.